What Carters Euronics can do for you. Our Haywards Heath store is just a short way from East Grinstead from where it's possible to deliver your new kitchen appliance to your home within 24 hours to 48 hours, providing the item is in stock. If you've never heard of Euronics, then why not drop by to learn what buying your next electric oven from them can mean for you. Our staff are well trained and good representatives of the Euronics name, which is fast becoming well known through advertising, and word of mouth recommendations. 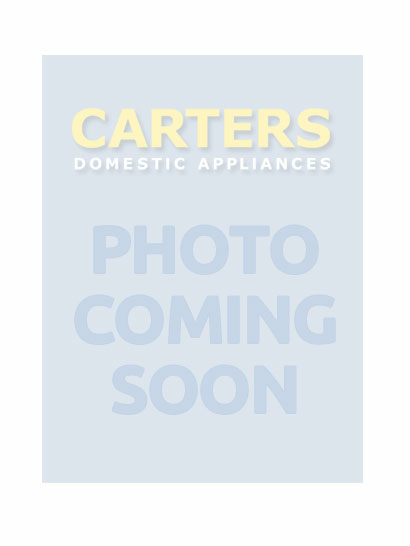 Carters Domestic Appliances would love to hear from you and would be privileged to be able to offer a wealth of industry expertise so that you can make an informed buying decision. Since we deliver to East Grinstead most days of the week, it makes sense to consider visiting our store if you are looking for washer dryers, microwaves, electrical cookers, gas ovens, chest freezers or fridges. 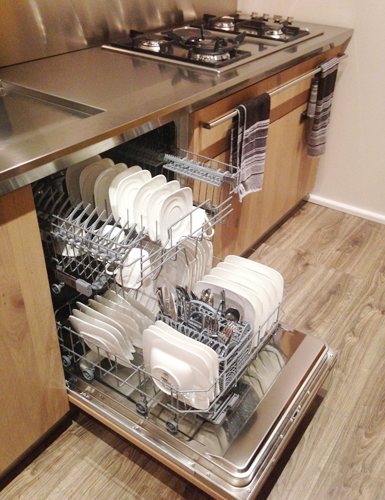 Our stores are crammed with appliances that are designed to save you time and effort in even the busiest family home. Carters distribution warehouse and retail facility in StorringtonCarters have six stores in Sussex, including our distribution warehouse and retail facility in Storrington. The warehouse holds vast volumes of stock ready for immediate delivery, so your chosen appliance could be with you within 24hrs. 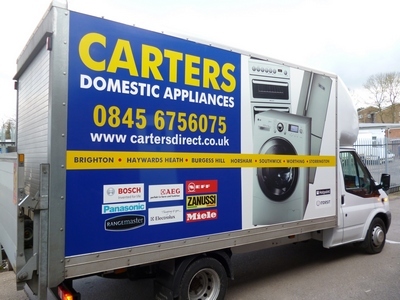 All sales of domestic appliances that total £150 or more include free delivery to most parts of Sussex, including all parts of East Grinstead. By choosing to shop at a Euronics store, customers get access to many benefits, such as a wider choice of appliance, be that a basic washing machine, or a state-of-the-art dishwasher, comprehensive warranty options, and of course, the best price to be had on the day. This organisation is constantly growing and with that growth, Euronics, as an international buying group with over 10,000 end-user stores, has hitherto unmatched buying power. The result of which is huge savings which are passed onto customers. Only the best independent dealers that meet stringent rules and regulations designed to attract customers again and again are able to sign up to Euronics. Carters are one such dealer, so East Grinstead customers are guaranteed very competitive prices, generally unbeatable anywhere in the UK. And, should you find your chosen appliance cheaper elsewhere, talk to us about it, and we'll aim to invoke our price match policy to make sure you get the best deal possible. The world’s most prestigious manufacturers: on the high street and online at CartersThrough Euronics, Carters Domestic Appliances source top-branded products from the world’s most prestigious manufactures of white goods. Gas ovens and electric cookers from Miele are particularly popular, as are fridges and chest freezers from market-leading brands such as AEG, Blomberg, Neff and Zanussi. These are manufacturers that build appliances that you can trust to give long-term, reliable service. All domestic appliances supplied to homeowners in East Grinstead have manufacturer warranties. We also offer customers thet option of an extended 3-year or 5-year warranty through RETRA to provide total peace of mind with every appliance or white goods purchased. We do not sell second hand machines unless they are offered direct from a manufacturer as a special deal. Visit our store the next time you're in town, or browse our website for the kind of appliance you are looking for; alternatively, simply pick up the phone and give us a call on 01444 440260 today! Our delivery vans know the East Grinstead streets very well as customers from this area ask us to install all types of appliances into their homes. Watch out for our brightly coloured vans. They may be delivering to a home near you!